The Tribe was federally recognized in 1970 and is approximately 30,653 acres with 36 miles along the Colorado River and Lake Havasu.The reservation, located in the San Bernardino County of southern California spans the Colorado River into Arizona. The Chemehuevi are the proprietors of the Havasu Landing Resort and Casino located along the shore of Lake Havasu. The population is between 150 and 345. 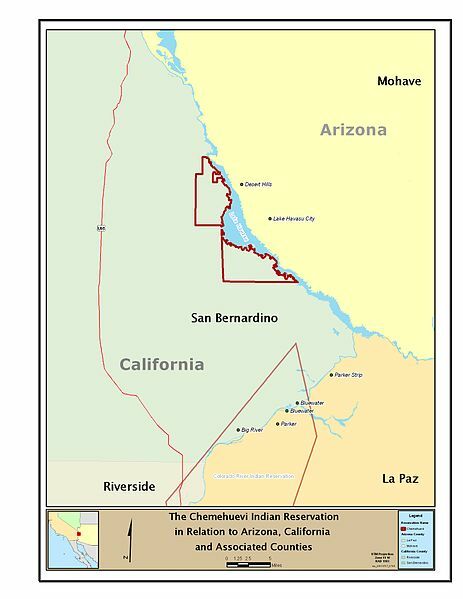 Rights for the Chemehuevi—as well as the Cocopah Indian Tribe, Colorado River Indian Tribes, Fort Mojave, and Fort Yuma Indian Reservation—to the Colorado River were established in 1963 by Arizona v. California. In compliance with the 2006 Supreme Court consolidated decree of the 1963 case, Arizona v. California, the Chemehuevi are entitled to divert 11,340-afa per year per from the mainstream, or “the quantity of mainstream water necessary to supply the consumptive use required for irrigation of 1,900 acres and for the satisfaction of related uses, whichever […] is less.” A 2010 request for an additional water pump would add 3,000-acre feet per year in recycled water to the pre-existing diversion rights. It is uncertain whether this request was granted. Ground wells provide drinking water whereas the Colorado River is the source for the decreed diversion rights. The Chemehuevi Tribe has declined to participate in the interview portion of this project at this time. If you would like to learn more about the this tribe, click here to go to their website. Community Outreach Plan, January 2013 available at http://www.dtsc-topock.com/resources/PublicOutreach/PublicInvolvementPlans/2013-01-11_FinalCOP_Web.pdf. Chemehuevi Indian Tribal Court, California Courts The Judicial Branch of California, http://www.courts.ca.gov/14781.htm (last visited May 24, 2013). Estimate prepared for the Community Outreach Plan prepared for the California Environmental Protection Agency, Department of Toxic Substances Control, January 2013 (Supra Community Outreach Plan). Arizona v. California, 547 U.S. 150, 126 S. Ct. 1543, 164 L. Ed. 2d 271, 2006 U.S. Lexis 2703 (2006). 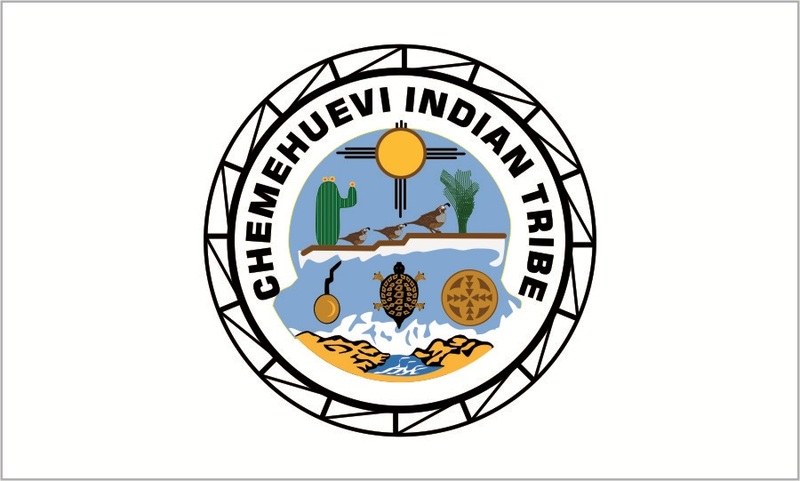 Chemehuevi Indian Tribe Water Tank Project (2010) available at http://portal.hud.gov/hudportal/documents/huddoc?id=2010chemehuevi.pdf. Ten Tribes Partnership, Colorado River Water Users Association, http://www.crwua.org/TenTribes.aspx (last visited Apr. 17, 2013).